Richard (Hot Springs, AR) graduated from the University of Central Arkansas in 1969 with a degree in art. 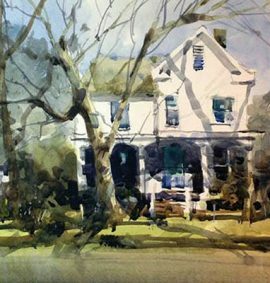 During the past 17 years he has been teaching watercolor workshops around the country. Stephens has been awarded the 2018 Arkansas Governors Arts Award for an Individual Artist.